Sweetbay is a deciduous to semi evergreen tree native to the eastern coastal plain of the US, from Massachusetts to Florida, west to Texas, Texas, where it grows in low woods swamps, and streambanks. It is a member of the magnolia family, Magnoliaceae, that also includes tuliptree (Liriodendron). Although a tree in the southern part of its range it is likely to be more shrub-like in the northern parts. The bark is smooth and green on young branches, smooth dark gray on older branches and trunk. The leathery oval leaves are simple, shiny green on top, silvery below, and 3-6 inches long by 1-1.5 inches wide. The sweetly fragrant creamy-white flowers are cup-shaped, two to three inches across, and have nine to twelve tepals. 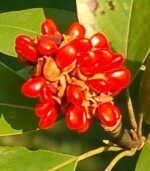 They are produced singly in mid-spring and give way to twoinch long cone-like aggregate fruits with bright red seeds that are attractive to birds. The tree is a good choice for a specimen tree, borders, rain garden, woodland garden, and especially patios where its fragrance can be enjoyed. It is often planted in parks and is useful for wet areas where few other plants will grow. 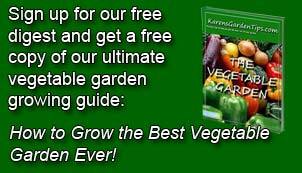 Several cultivars are available that vary most importantly in their hardiness and evergreen nature. Pests and Diseases: None of significance but can suffer from chlorosis in alkaline soils.